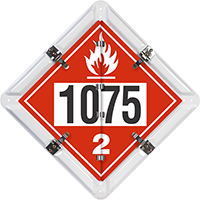 Contents Flammable Gas 1075 DOT placard flip panels. LPG Flip-n-Lock™ placards are built to last! • Placards meet DOT specifications. 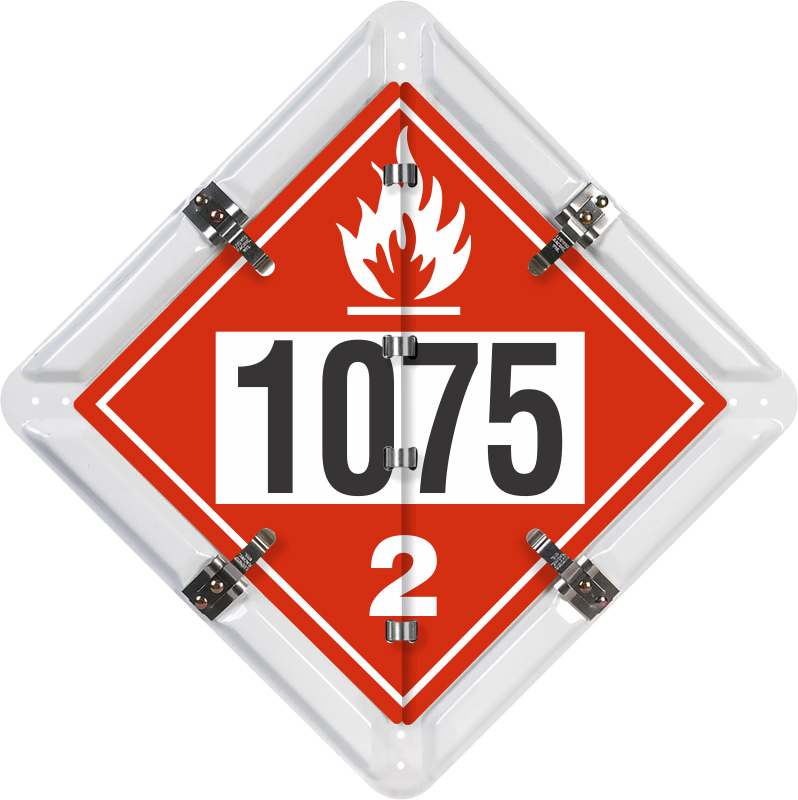 Placard system is designed for truckers and other transporters of liquid propane gas. • The placard base plate is made from corrosion resistant, 32 mil thick aluminum. • Aluminum base plate has a baked-on white coating to match white siding, doors or trucks.